There is still time to register for Arts from the Start – The Creative Revolution, a day of inspiration designed to put creativity at the heart of Early Years practice in Scotland being hosted by Starcatchers, Scotland’s leading arts organisation for Early Years. SPPA, in partnership with ComputerXplorers, is organising an exciting new professional learning event focusing on using technology in the early years. Community based voluntary groups can apply for grants of up to £500 through the new Sainsbury’s Scottish Community Grant Fund. 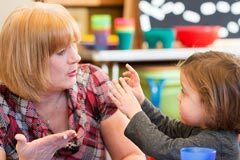 Health Scotland, on behalf of the Scottish Government has updated current nutritional guidance and food standards for early years childcare providers in Scotland.